Mini hookahs are our smallest size, they come with one flavor and one hose and the least amount of one flavor of tobacco. Good for sampling. 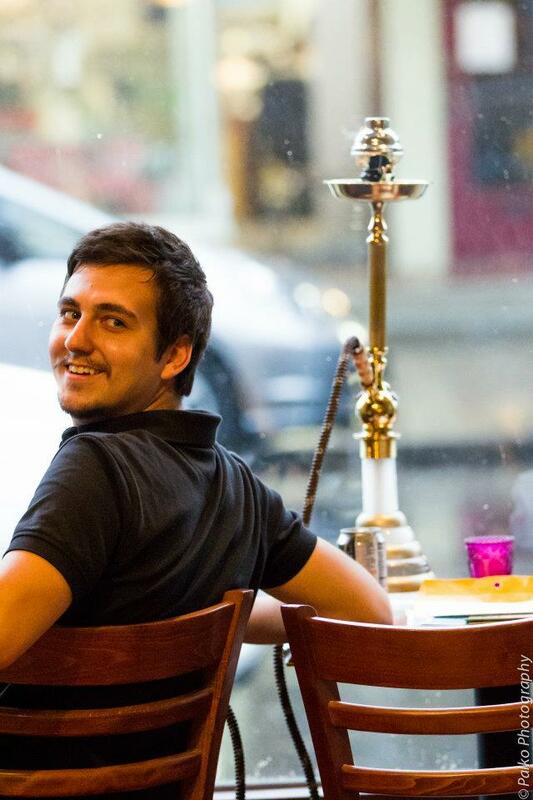 Friendly hookahs come with two hoses and a small amount of one flavor of tobacco. Combo hookahs come with a full bowl of tobacco, up to two flavors mixed together and up to two hoses. The Ultimate hookah is a great hookah to share with friends. It comes with up to three flavors mixed together, up to three hoses and a free refill. A hookah is a social device that is used to inspire conversation. It is comprised of a tobacco pipe that uses an exceptional blend of pure tobacco and honey that was developed in India and Egypt. Our tobacco is different from that of cigarettes or any other types of smoking tobacco. Our tobacco contains .05% nicotine and 0% tar, as well as, no chemical additives so it is much healthier than a cigarette. We even offer hookahs that have no tobacco at all! The tobacco/honey mixture is heated with a coal in order to draw the moisture off and flavoring from the mixture. This ensures that the end result tastes like strawberry or peach or any of the over 35 flavors we offer.